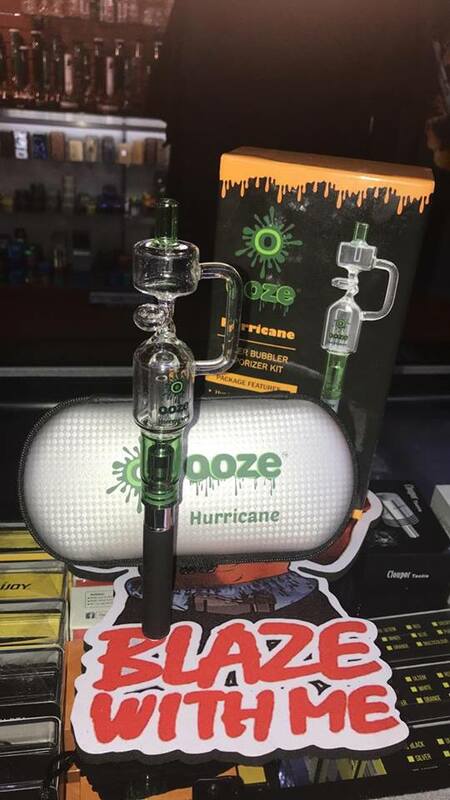 The Ooze Hurricane Water Bubbler Vaporizer Kit, smooth hits, features a designer water bubbler made with a percolator and recycler and for a better burn it has a splashguard dual quartz coil. It burn your materials at ideal temperatures for a hit that is smoother than titanium, made to protect your glass piece. Dual quartz coil features a splashguard cap to keep your materials dry during use. 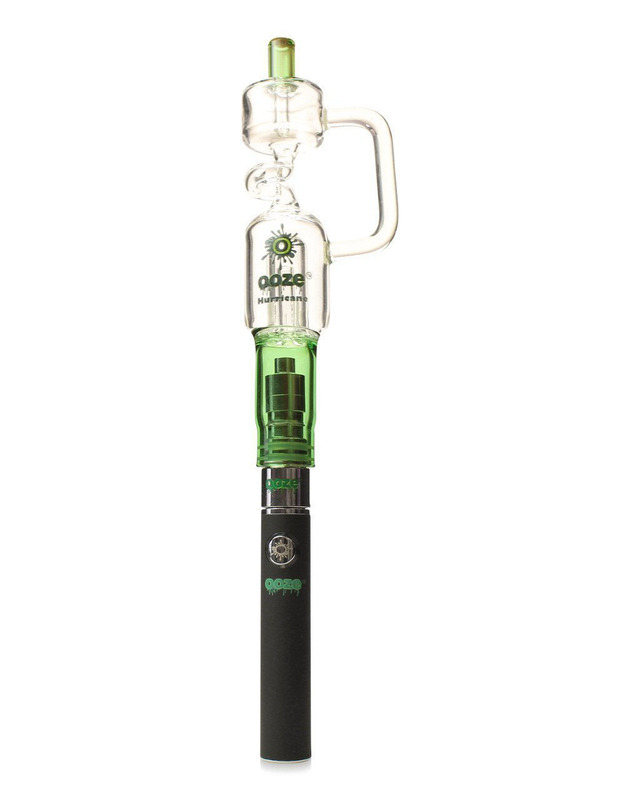 Enjoy a vaping experience with the Hurricane’s percolated bubbler attachment and dual quartz splashguard coils. 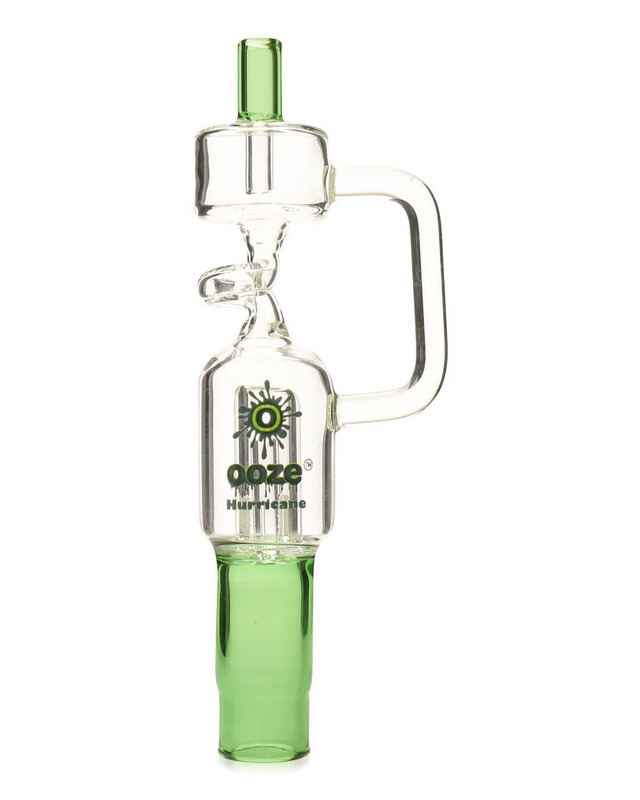 Ooze Hurricane Water Bubbler Vaporizer Kit overview. Lets Vape & Smoke Shop KC Carry big selection of vape pen, vaporizers, e cigs, E mods, Refills, accessories and much more. No#1 Vape shop on Boradway Kansas City, Midtown KC.